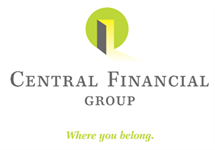 Terese came to Central Financial Group in September 2008 after working for the State of Iowa Credit Union Division as a Credit Union Examiner. At CFG, she is an administrator for the Human Resources and Accounting Department with the responsibility of ensuring compliance with Human Resource and Accounting rules and regulations. Her work consists of daily operational duties, P&C & Life commissions support, P&C receivables and reconciling, payroll, and other duties required to ensure CFG runs at its optimum. Terese graduated from Wartburg College with a bachelor’s degree in Business Administration – Finance and a minor in Accounting. Terese and her husband, Brad, reside on an acreage outside of Whittemore, Iowa and have three children. Terese’s outside interests include family, volleyball, cheering on the Green Bay Packers and helping raise/train their five Labrador Retrievers for duck, goose, and pheasant hunting. Four of the five dogs hold titles as Junior or Master Hunters.